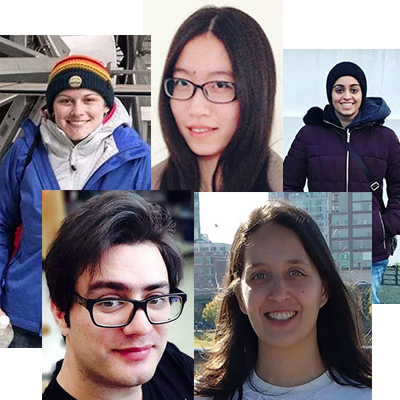 Ten students from the Faculty of Science are the first to be part of the prestigious York Science Scholars Award (YSSA) program, which includes an entrance scholarship and a summer research placement. The program, now in its second year, is once again open to applications for the next cohort of bright students with a passion for science. The Science Scholars program nurtures the intellectual and career development of first-year, high-achieving science students. It provides a total award of $10,000, consisting of $5,000 as an entrance scholarship and an addition $5,000 as a guaranteed summer research position following the first year of study. For the summer position, the student is paired with a faculty mentor. The position provides an opportunity for students to get hands-on, experiential research learning with current research projects in leading-edge facilities. That research could be looking at sustainable energy, sensory information, perception, microscopic organisms, gene expression and much more. The Scholars Awards are open to Canadian and international students. The deadline for applications is March 22. To learn more about how to apply, visit the Faculty of Science website. 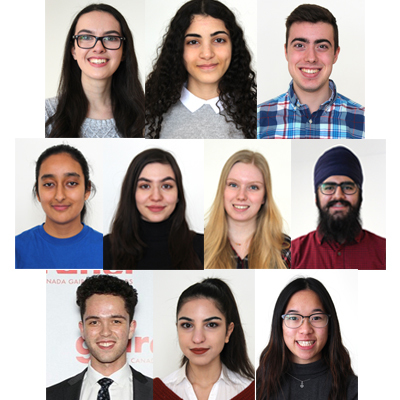 The 2018-19 YSSA students are Sophie Eisen, Jacob Fine Hila Akabari, Pablo Gonzalez, Dayana Davoudi, Davneet Parmar, Coral Hillel, Stephanie Lo, Annabelle Audet and Sahib Madahar. Sophie Eisen is a first year biomedical student. “Throughout my first-year at York University, I have developed a passion for biological sciences and chemistry,” said Eisen. “This summer I look forward to engaging in hands-on, scientific exploration and learning fundamental laboratory techniques. 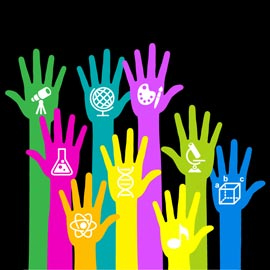 I will work in a research lab that studies aptamers using biophysical techniques.” In her leisure time, Eisen said she enjoys visual art, reading and volunteering. In the future, she hopes to become involved with Student Ombuds Services at York. Jacob Fine is a first-year biology student. He plans to pursue research or a clinical-based career in the medical field. “As a first-year biology undergraduate student at York University, I have developed a strong appreciation for molecular genetics and cellular biology,” said Fine. “Last summer, investigating blood and oral neutrophil activation at the University of Toronto sparked my interest in the field. This summer I am exploring gene expression in eukaryotic unicellular organisms at York University.” Outside of the lab, Fine is a drummer, pianist, writer, high school math tutor and Baycrest volunteer. Hila Akbari is a first-year student in the biomedical sciences program at York University. “My passion for science grew at a very young age due to my curiosity of how the world around me functioned. I have always been fascinated by living organisms. They are such a huge part of our everyday lives and yet are invisible to the naked eye,” she said. 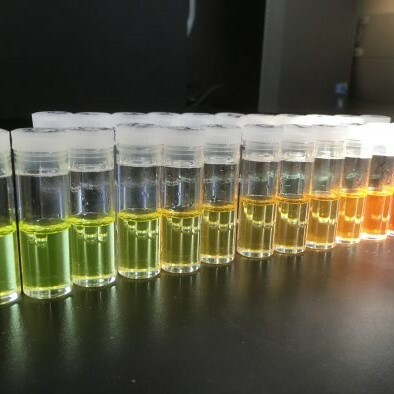 “Learning more about microscopic organisms has always been a passion of mine, which is why I am very excited for the opportunity to work with my mentor and his research with the Tetrahymena thermophile. The Tetrahymena thermophile is a ciliate model organism, which has been the source of many important discoveries.” The research Akbari will undertake with her mentor is focused on understanding gene reorganization during nuclear development; regulation of gene expression, design and testing of novel anticancer, antiviral and antifungal chemotherapeutic agents; and structure/function relationships with the synaptonemal complex. Akbari said she is excited to be able to take a step into the world of research and molecular biology. Dayana Davoudi is a first-year biomedical sciences student at York University. “I am delighted to be a part of the Science Scholars program. The research of my placement mainly focuses on the ciliated protozoan Tetrahymena thermophila and uses genomic, proteomic and transcriptomic approaches to investigate the gene expression and organization of this model organism. Furthermore, structures of both somatic macronucleus and germ-line micronucleus of the organism are examined, allowing further insight into the patterns of gene expression in somatic and germ line cells.” Davoudi said she is beyond excited to have received the opportunity to be one of the recipients of this award and to participate in research. Coral Hillel describes herself as a very passionate and conscientious student invested in learning science and exercising her creativity. “Initially, I entered my first year at York University with a broad range of interests,” she said. “Naturally, I began my studies in integrated science where the interdisciplinary approach to learning and teamwork challenged my abilities and helped me refine my interests to biophysics. As a YSSA student, I will have the amazing opportunity to explore these interests beyond lecture when I work in the research lab this summer.” The research that Hillel will be involved with spans a wide array of fields and applications. It is principally focused on developing and studying thin films and nano-structured materials for use in electronics, biomedical applications and so on. These materials can be produced possessing unique characteristics, including hydrophobic character, hardness, corrosion resistance and catalytic properties. Sahib Madahar describes himself as a compassionate and diligent student who is looking for new ways to further develop his skills, expand his academic abilities, and explore the horizons of science. “In my first year, I am in the integrated science program, where the professors use an interdisciplinary approach to teach concepts in chemistry, physics, biology and mathematics,” he said. “Along with the core integrated science courses, I am also taking a course in psychology. Going forward, I will be pursuing a major in biomedical science with a minor in psychology.” As a recipient of the York Science Scholars Award, Madahar will have the opportunity to supplement the concepts he has learned in lectures with experiential learning in the lab. The research lab he will be working in this summer is primarily focused on answering questions involving the processing of sensory information, perception, cognition, and communication.